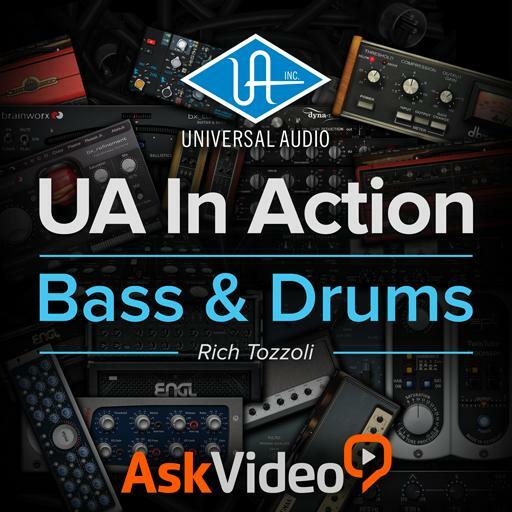 Universal Audio 101 - UA In Action – Bass and Drums. Bass should never be panned. True or false? When using two bass channels, they should both be adjusted the same. True or false? Stereo overhead mics should always be panned hard left and right. True or false? A snare reverb can help add width and depth to the snare. True or false? Why is it important to keep your drum kit layout approach standardized? Adding stereo chorus to a bass can subtract width and depth. True or false? The second snare should be compressed or EQ’ed differently than the first. True or false? Using 2 mics can help give you more options during mixdown. True or false? Which plugin has a “solo isolate” feature? You can use the Tonelux Tilt plugin as a one-knob EQ. True or false? The objective of the first kick drum track is to get the low frequencies, and the second is to get the attack. True or false? How can a bright stereo kick sample help your drum tracks? Once you’ve got your drum sound you don’t need to adjust it anymore with the bass. True or false? When EQing, it's important to listen to the sound in context with the entire mix. True or false?